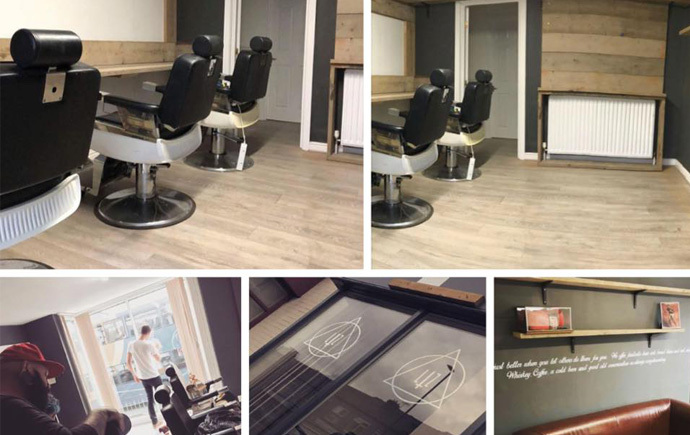 Award winning South Yorkshire barbers Less Than Zero has opened the doors to its brand new shop in Woodseats today (17 September). After winning The Derbyshire Times’ New Business of the Year award in 2017, the Less Than Zero team have enjoyed a successful year at their shop in Chesterfield. So much so that the barbers, which is part of the Lions Barber Collective, a nationwide movement which focuses on suicide prevention, has opened another shop on Chesterfield Road in Woodseats, Sheffield. Owner Martin Keyworth told Exposed: “We are not just a quality barbershop. What makes me most proud and excited to be leading this move into Sheffield is that we not only have highly qualified staff, skills and excellent customer service, but we can now extend our involvement and support of our communities in the Sheffield City Region too. Less Than Zero is open now at 623 Chesterfield Road, Woodseats, S8 0RX. Visit lessthanzerobarbers.co.uk for more details.